Check out some of our most popular teachers near Adkins, TX including San Antonio, Cibolo, Schertz, Helotes and Converse. Rock out with your favorite songs and beats. I played Snare Drum in the drum line in the University of Alabama Million Dollar Band for four years. I am very experienced in rudimental snare drum and can help you learn the 26 basic rudiments as well as the advanced rudiments, and their application. If you're practicing for a drum line audition, I can help you set up a practice schedule, and we can work on your material together. Set yourself a goal and reach it! - Weekly lessons to develop and improve skills with proper stick control, rudiments, dynamics, rhythmic meters…and more! - Advanced techniques: Improvising & composing, ornamentation, world music styles, etc. I am a music educator of 13 years: I have taught both middle school band and choir to at-risk youth, as well as elementary music at a private Christian academy. My principal instrument is the saxophone (which I began playing in 1990), and I play many other instruments. As for my formal education: I received the Bachelor of Music Education degree in 2005 from Rutgers, The State University of New Jersey; and the Master of Music Education degree from the University of Texas at San Antonio (UTSA, 2010). I focus on the needs and interests of my students, thereby representing all musical genres and including all cultures. Everyone needs their own instrument. In my studio, I have to keyboards side-by-side so that the student can both see and hear what I am teaching without ever swapping seats. As for percussion, my practice pad station serves for warm-up rudiments, whereas I have 2 drum-sets facing each other so that again, students can both see & hear what I am doing without needing to spend lesson time switching seats. For all other instruments, I recommend buying new for any brand that is not among the top 3 brands for that instrument...this ensures a working instrument in which to learn from and practice on without necessarily spending top dollar. I always bring my instrument, metronome, tuner, music stand and stand for my instrument, including lesson materials and supplies. All genres, all styles & all cultures! I teach students of all ages--mostly at my home studio, but I also travel to students' homes, churches, and, as an alternative during the Summer only, I am willing to meet with students in the Practice Rooms in the Fine Arts Building at UTSA. First lesson was great! He's very organized. Good with kids too. I had my first lesson with Neil, so far so great. He is a good teacher and takes pride in his work. He is thorough and seeks to enhance my knowledge. Excellent first lesson and introduction to the saxophone. Looking forward to future lessons. I've been a Drum Set teacher for over 30 years. I base my courses in what I learned at the Drummers Collective in N.Y. I cover as many styles as possible. My main goal as a teacher is for you to become a better drummer, cause a better drummer is happy drummer. I studied classical percussion in college and then specialized on drums at the Drummers Collective in New York City. I have toured with bands and played many times in front of crowds of more than 25 000 people. I have TV experience as well. I also have worked as a session drummer on several records for big labels (BMG and Sony Music among them). I work as a producer and my approach to teaching comes from my love of Music in general. I have been a drums instructor for more than 30 years and my students always get the gigs. I speak English and Spanish. My teaching style is fun and has a very clear outline, remaining flexible within it. I keep learning and practicing every day, and am very open to having fun together while learning. If you practice, the results are shown on every lesson and you will really notice it! We start by learning how to Play, reading is not the first approach, but will be learned around the 3rd month . Everyone can do it and if you feel you can't, I'll prove otherwise during the first lesson. Afterwards we practice simple techniques and start with simple independence exercises, which feel great. You will be playing a beat with simple independence the first time we try it, which can be during the first lesson and no longer than three lessons afterwards. As you progress with the independence in rock style, we will work in other styles like funk, jazz, Latin, odd meters and African and the main focus will be that you become a great drummer. Whether you are aiming to become a pro or playing as a hobby, you will find great value in these lessons. I have 11 drum sets, recording gear, guitar and bass amplifiers and a pa system. His own set. I could also rent them a set if needed, but having their own set is better for me. Sometimes I rented a set to my students in order for them to decide if they wanted to buy one. Great first lesson. Instructor is both friendly and knowledgeable. Can't wait to continue doing more lessons with him and learning everything I can. My 12 year old daughter has a learning disability and a noise anxiety but really wanted to take drum lessons. She was extremely nervous and shy at first but Alfredo made her feel relaxed and comfortable. His encouragement and praise really brought out the best in her and after one hour of practicing together, she was able to use her arms and legs independently and keep a beat. He has a knack for explaining things so that even us non-musicians understand. My daughter is already looking forward to her next lesson which is a nice surprise compared to previous instruments and activities she's tried. Highly recommended. Alfredo is a great instructor and he has a true passion for the drums. Learn the basics of rhythm and beginner drumming. How to play various drum beats, fills, stick technique. Students enjoy learning their favorite songs. I have four decades of drumming experience with many artists including: The Dixie Chicks, Clay Blaker, Johnny Bush, Barbara Fairchild, Frenchie Burke & Texas Unlimited Band Plus 6 years at Six Flags Fiesta Texas and 7 years at Bulverde Academy of Music ● Learn to support other musicians for live performance ● I have a full drum recording studio providing an optimal learning environment ● I have developed hundreds of "music minus drums" tracks where the student can be in the drum seat. I teach all drum techniques, musical styles with two acoustic drum sets set up side by side in San Antonio. Had an awesome first time getting to know and work with Phil. He’s amazing at what he does! Fun and fantastic experience! Can't wait to take more lessons! Learn the basics. Work on coordination of hands and feet. ty promise, but its true: transcending your limits on a weekly basis will increase your self-efficacy. I’m currently involved in 3 projects, ranging from jazz (james-davis.co), to prog-rock (shinywolf.bandcamp.com) and metal (obverse.bandcamp.com). These projects are very specific, but I am comfortable teaching a wide range of styles. I typically start new students with rock and pop music, while also teaching exercises to build fundamental technique. I prefer to travel to students for lessons, but am happy to do lessons via webcam or at my practice space in Brighton. I’ve found that students prefer to show me what they’ve been practicing on on their own drums. In addition, this lets me teach them to set up and maintain their own instrument. ut Alfredo made her feel relaxed and comfortable. His encouragement and praise really brought out the best in her and after one hour of practicing together, she was able to use her arms and legs independently and keep a beat. He has a knack for explaining things so that even us non-musicians understand. My daughter is already looking forward to her next lesson which is a nice surprise compared to previous instruments and activities she's tried. Highly recommended." to have someone with his professional music background as a teacher. But don't let his background intimidate you. 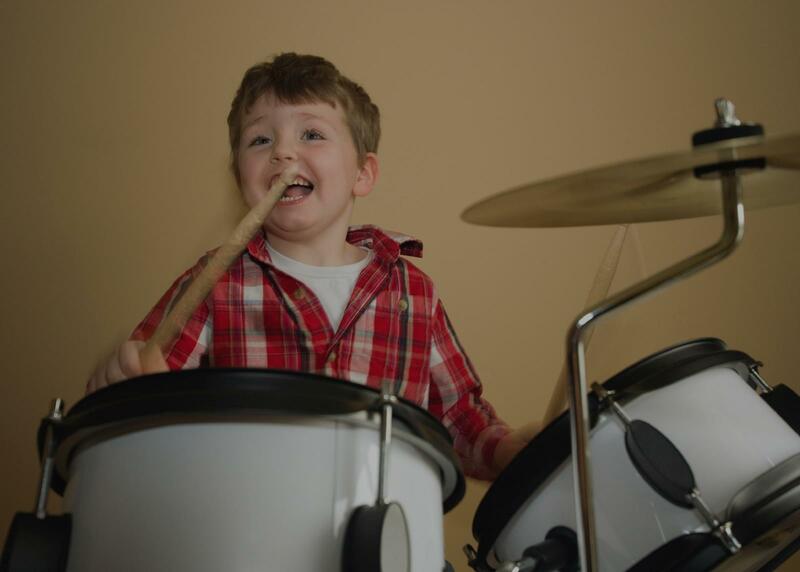 He is very patient, and has a well structured methodology to teach you how to become a good drummer. Alfredo's technique is not directed to just learn easy groves to play along with music. Rather, he is committed to teaching you the proper techniques that will give you the foundation to become a skilled drummer if you are willing to put in the time. It's challenging, to say the least, but I think it will pay dividends in the long-run. When you are around Alfredo, it's obvious that he "loves" playing the drums, as well as composing and playing other music/instruments. It's also great fun to play your exercises, while Alfredo plays along with you (challenging not to be distracted) on his drum set or bass guitar. Great FUN!" ded to do to improve. He listened to my thoughts and then evaluated my proficiency, and then together we modified my lesson plan to grow in areas I didn't even know were weak. I've never worked extensively on my left foot- it wasn't something that I thought, for the music I was playing, I really needed to develop past the basics. Now, having seen what he can do, I'm working diligently to develop more 4-way independence and adding a powerful playing ability to my arsenal. I will be working with Alfredo for a while and I really look forward to growing. I also enjoy my lessons simply because he's a great guy. And his custom made drum set that he built himself is awe-inspiring." "Alfredo is a great instructor and he has a true passion for the drums." tell him what it is and he'll break it down into something simply enough to learn and then he'll show it to you in pieces so that you'll be able to grasp and then apply to the stage. You won't find a teacher that will take your talent any more serious, than Phil !!! He's the best!!!!!!!!"